Thinking about applying for some new credit soon? A new car, perhaps, or a holiday which you’ll pay-off later? The first thing you should do is to take a look at your credit score. Your credit report is a key item to consider when taking out any form of credit - it basically tells you how likely you are to be accepted, as well as telling lenders how likely you are to pay back the loan (on time!). While once there was just Experian ruling the roost, there are now a number of competitors - including some free services which offer something similar, and in some cases - better. Should I pay for my credit report? In short - no! These days, all the big credit reporting companies offer at least a free trial, so unless you're making use of some of the more advanced features, it’s best to give them a free trial to see if they give you what you need. 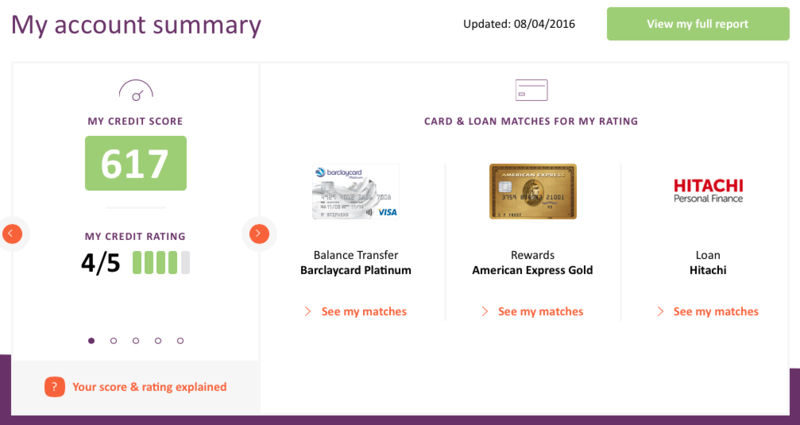 We looked at the six biggest credit scoring companies on the market. To try and make the comparison fair, we looked at three key areas. Accuracy of credit products: Most of us have a “feeling” of were our credit score lies, either poor, average, or pretty good. With this in mind, we compared what we expected our score to be vs. the score we received. We looked for obvious omissions on our credit report (such as missing credit cards), or any errors. Ease of use: We’re considering two factors here - how quick and easy is it to sign up, and how pleasing is it to use the website overall. Value for money: With many of the paid reports costing £14.99 per month, we consider whether the services they provide are actually worth the cost. Launched in 2011, Noodle is a “free for life” credit reporting service by Credit Karma. Noodle is free for life. It makes money through commission by matching you up to relevant products, which it promotes aggressively. It took us a few attempts to be "found" by Noddle. But when it does work, it's quick to sign up and easy to use the site. We found that the data was incomplete, missing major things like store cards and credit cards, which has an impact on the validity of the check. 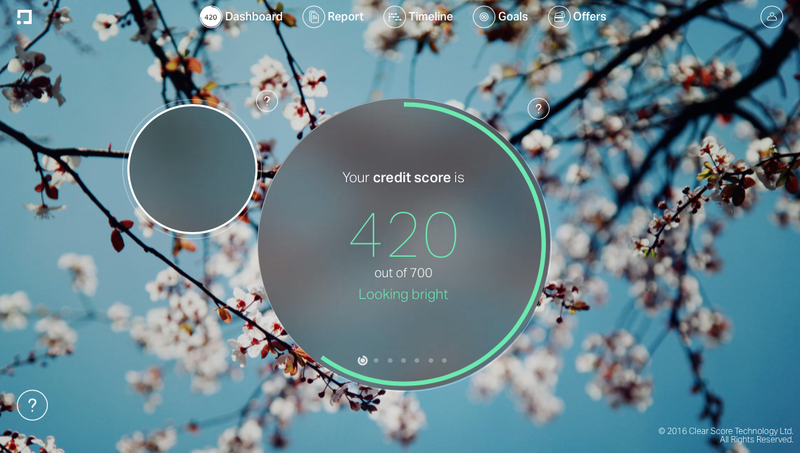 It's still useful to get a snapshot of your score, and given that it is free, it could make sense to use it alongside a credit check from one of the paid services. ClearScore launched in 2015 and has become popular for it’s ease of use - as they put it “your credit report laid out beautifully”. This was our overwhelming favourite. It's a really attractive-looking and exceptionally easy to use website, particularly when compared to the others. Signing up was also very quick and without problems. ClearScore also offers an app for iPhone and Android. The only thing that let ClearScore down was gaps in the data. As with Noddle, it seems that zero cost might come at the expense of completeness of data. To monetise, they also employ a Noddle-like credit card and loan recommendation up-sell, though ClearScore doesn't push you towards these products quite so hard. We're particularly impressed by the cleanness of the dashboard, and how the website is the only one that felt modern. Another favourite feature was a simple display of "positive and negative things on your file" which can be used to improve your score. It also scored highly in our customer reviews, with a perfect rating of 4.62/5 as of December 2018. Experian, or Experian CreditExpert, has been supplying credit reports to consumers since 2002. It's the biggest credit report provider in the UK. Experian was a clear winner in terms of the accuracy of data, with hardly any gaps or errors at all. Lenders often used Experian to carry out credit checks, because of its accuracy. Experian offers useful and visually appealing PDF downloads, and a “credit report pros and cons,” both of which make it easy to see where you could make improvements to your score. The service is also free for life now, with Experian adopting the same model as Noddle and ClearScore, making money by earning commission from recommending products. Our Smart Money People community also rates it highly, calling it a “useful’ and “very good service”. CheckMyFile has the unique selling point of aggregating scores from several data providers - you can see a total of eight scores on your dashboard. Data is pulled in from public sources, CallCredit, Experian, and Equifax. The dashboard provides a clear, well-rounded snapshot. It's definitely CheckMyFile's greatest USP and one which is easy to understand - their graphical means of representing the data was also well received.It does however, adopt the “free for 30 days then £14.99 per month” model, despite still trying to make money from credit card and loan referrals, though these weren't half as obtrusive as the free credit check providers. Although it makes sense to have an aggregated view of your credit from different sources, most would avoid Checkmyfile because of the comparatively high price - especially with a number of decent free options available. Equifax's clunky sign-up system is difficult to navigate and tedious to sign up to, but its data is clear and accurate - as good as Experian's. Operating on a 30 day free trial, then £7.95 per month thereafter, it's difficult to see any justification for staying on with Equifax once the free trial is over. It’s perhaps one that is geared towards the lenders (who buy our consumer credit data) rather than the consumers themselves, but if they’re charging £7.95 a month for it, we think their user experience needs a lot of work, especially compared to the newer, and more consumer friendly Noddle or ClearScore. MyCreditMonitor launched relatively recently, and also takes its data from CallCredit. MyCreditMonitor uses the same data as Noddle, so it's similarly accurate. That is, good data where it is available, but we did find some gaps, especially when it came to credit cards. 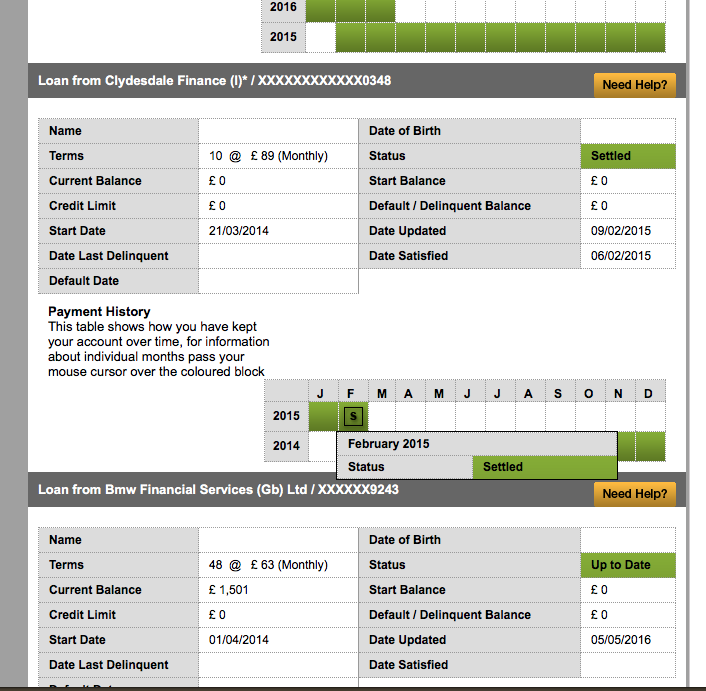 MyCreditMonitor also operates the popular 30 day trial then £14.99 per month mode. We found MyCreditMonitor very much "middle-of-the-road" and with no real USP compared to the others, or specific features which make it stand out - it would be hard to justify choosing this credit report compared to any of the others. So, who offers the best credit report? Our experiences clearly put ClearScore at the top of the pile thanks to their pleasing-to-use website, and helpful reporting, as well their free pricing model. However, if it's data accuracy you're looking for - and isn't that what credit reporting is all about - you shouldn't lose sight of Experian. Have you used any of these companies to check your credit score? Do you think that Experian is worth the cost, or does ClearScore give you a…clear score? View our best credit check providers leaderboard or tell us about your experiences today.